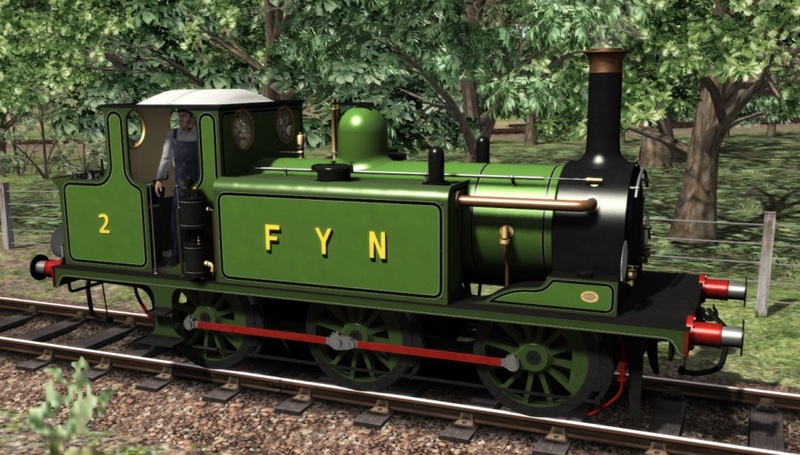 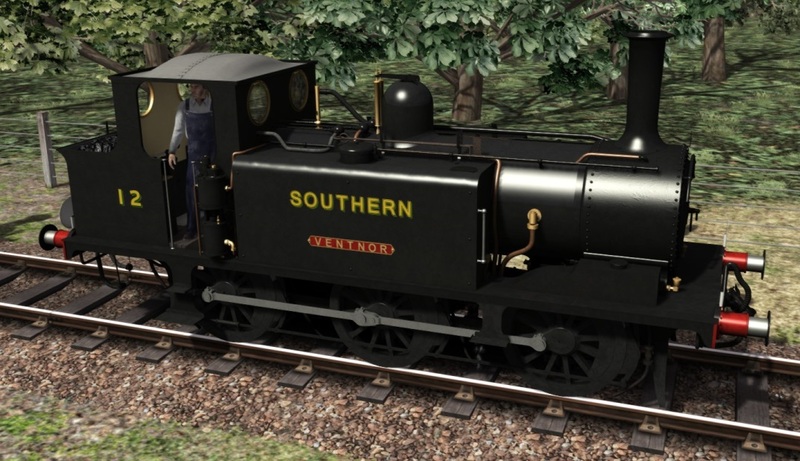 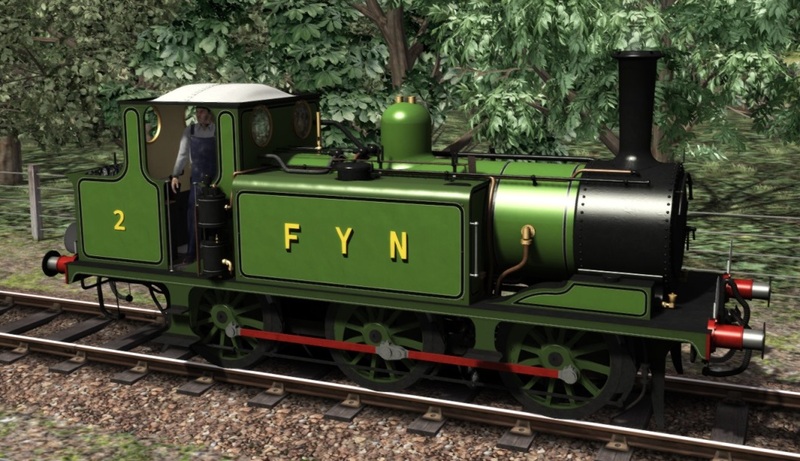 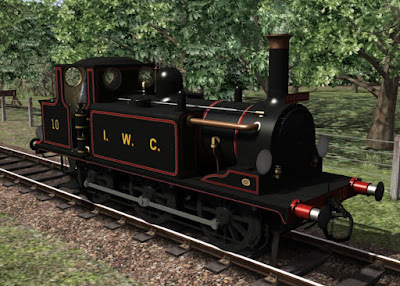 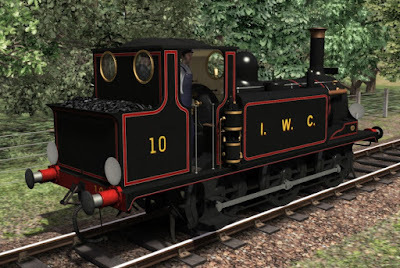 We are delighted to announce that the A1/A1X Terriers are now available from our friends at Steam Sounds Supreme, with the Main Pack released along with an add-on "The Early Years" which adds 9 more liveries, Southern Green ex-LBSCR coaches and 3 more scenarios. 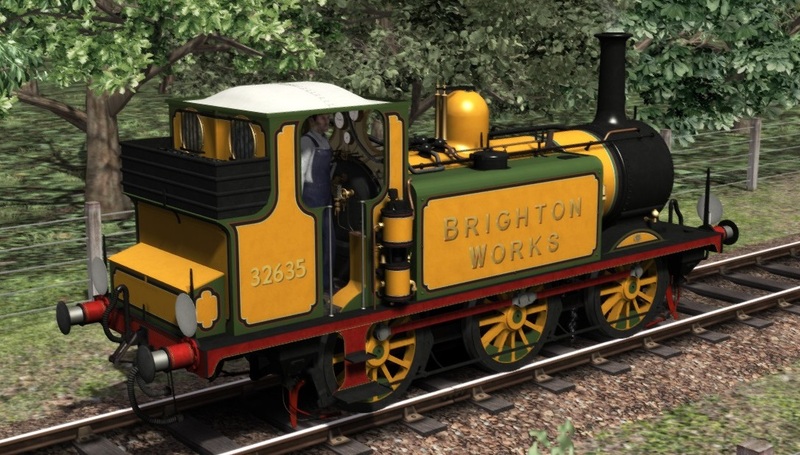 You can also purchase both as a twin pack and save yourself some money - details of the twin pack are at the bottom of the Main Pack page. 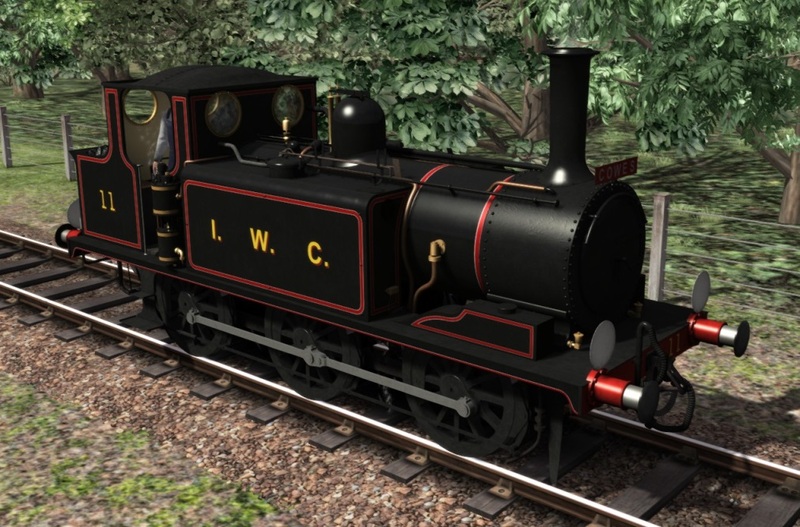 Soon we'll be showing off some more liveries for the Terrier and announcing our plans for the year ahead so keep an eye on the blog (and/or Facebook) for updates. 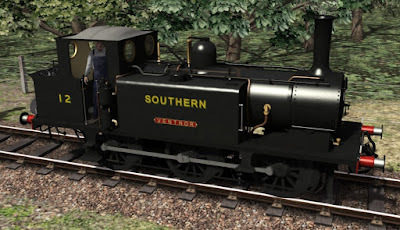 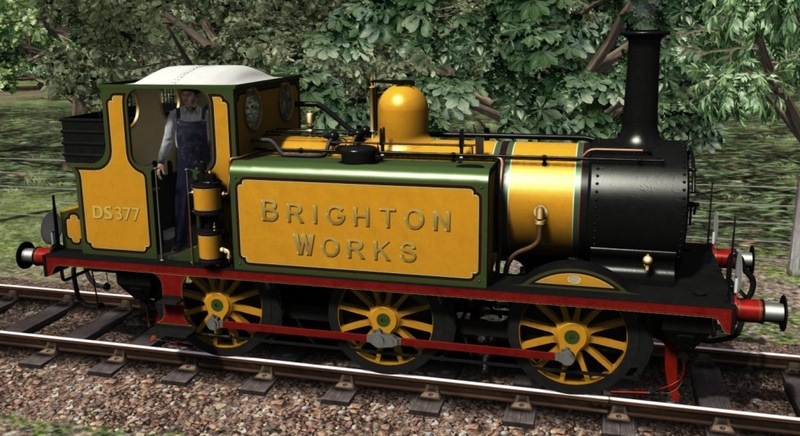 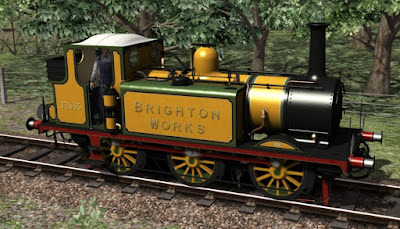 So we finish off our 9 liveries in *5* days with the Southern Railway, the home of all but 2 Terriers after the 1923 grouping. 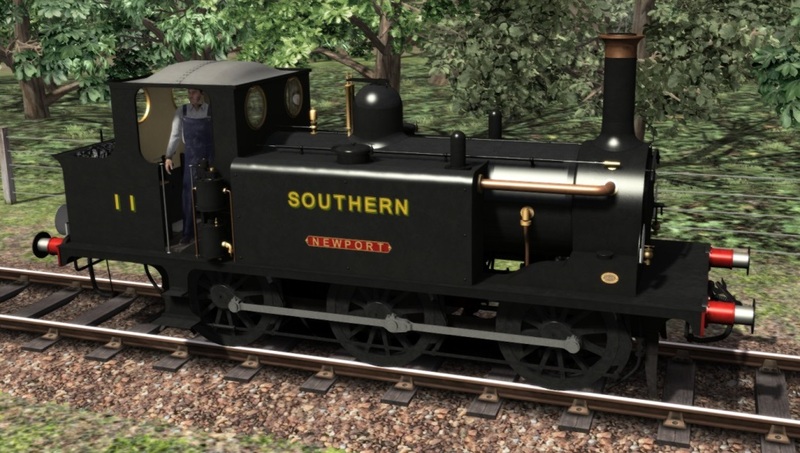 This time with the well known Black livery with Sunshine lettering. 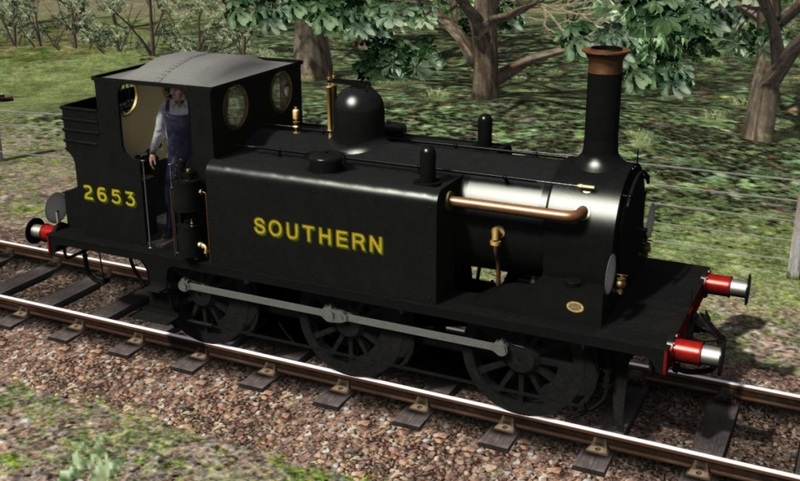 There are 2 style of livery, one of them numbered..
.. and the other with the Southern logo raised and a nameplate added below. 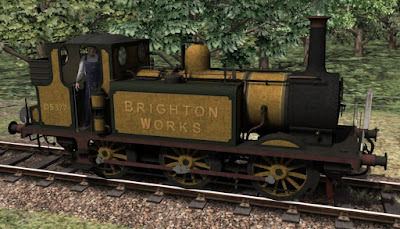 As usual any name can be typed into the scenario editor to appear on this nameplate. 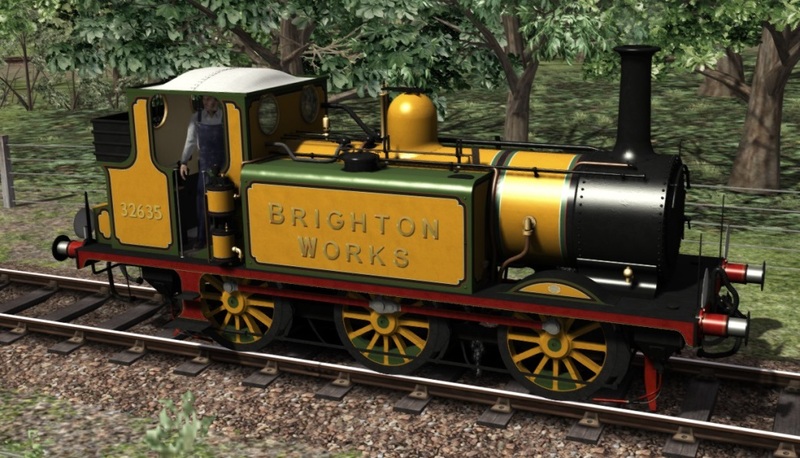 And of course there are A1X versions of both liveries as well. 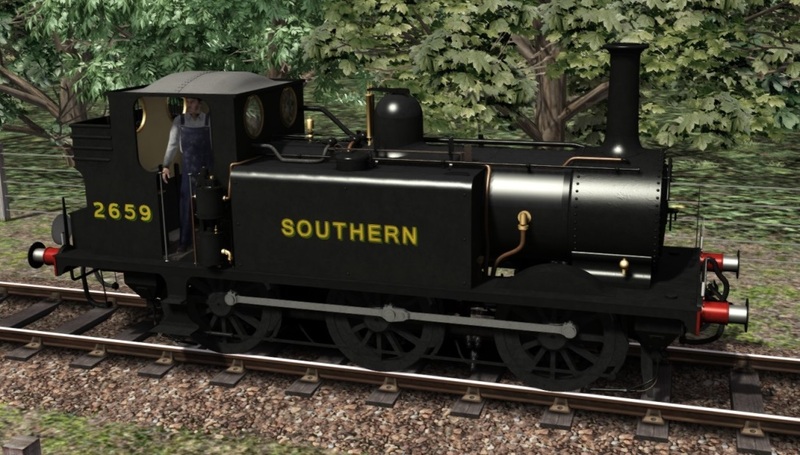 And to finish off this pack, along with 3 brand new scenarios, are the Southern green Stroudley coaches. 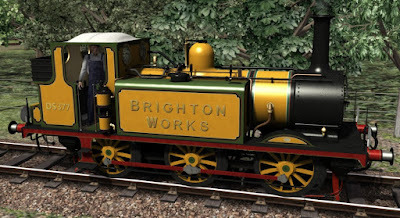 Everything you have seen in the past 5 days is what you will get in the "Terriers Add-on Pack 1 - Early Years". Pre-orders for the Main pack and this add-on will be opening soon at Steam Sounds Supreme. 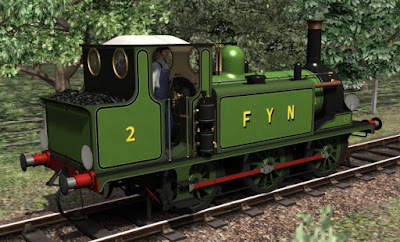 Today we have the continuing tale of A1 No. 46 "Newington" which was bought by the LSWR (see day 4) and numbered as No 734 but was later sold to the Freshwater, Yarmouth and Newport Railway on the Isle of Wight, numbered as 2 and that is the livery that we see below. 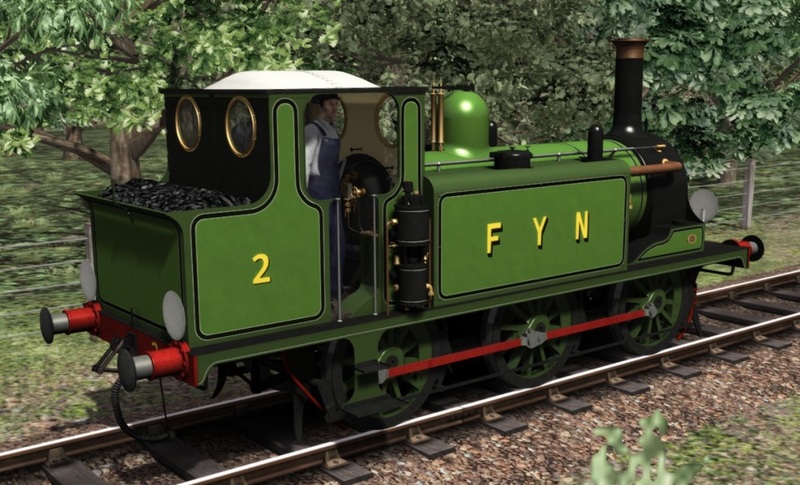 In 1923 she became Southern Railway W2 and was named "Freshwater" and then in 1928 was renumbered to W8. 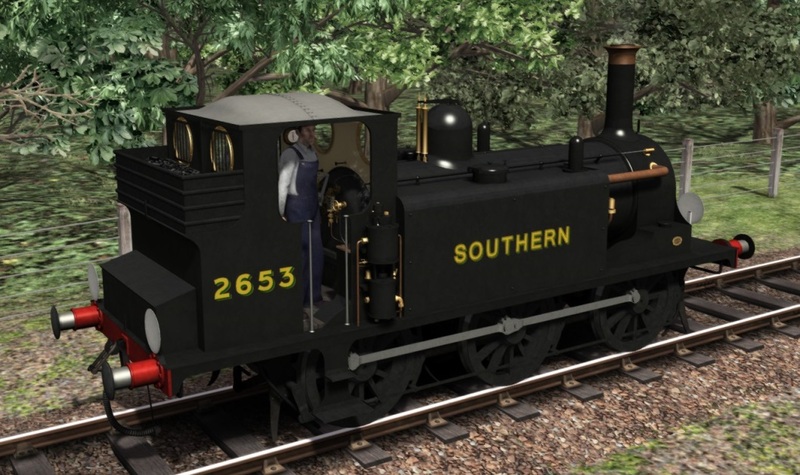 Eventually she returned to the mainland as British Railways 32646 and is now one of the 10 preserved Terriers and back on the Isle of Wight. 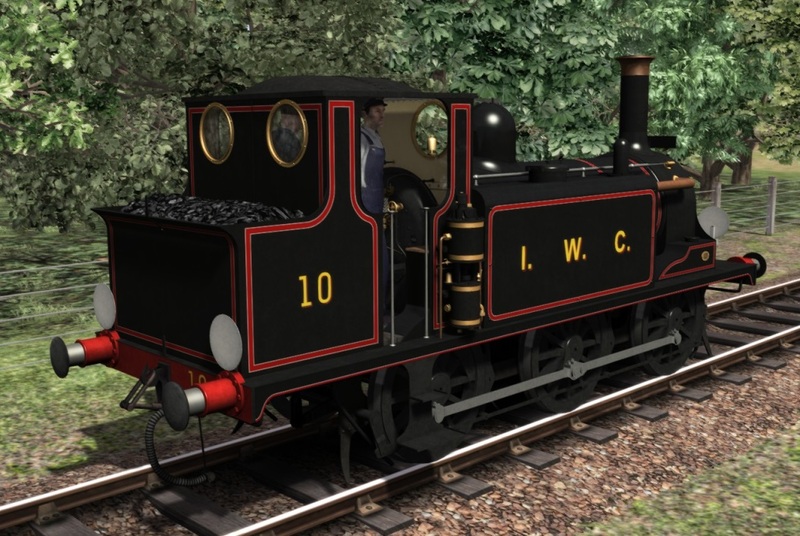 And the A1X variant, just right for a retro gala on the Isle of Wight Steam Railway. Today we have a livery specific to one engine, No. 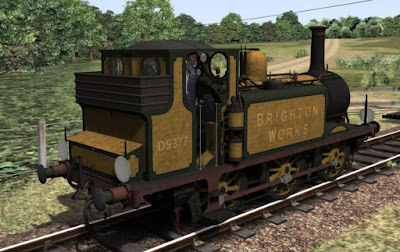 35 "Morden" which was transfered to Brighton Works in August 1946 to replace No. 82 Boxhill which was taken out of service and placed into preservation and can still be seen at the National Railway Museum as the only Terrier to survive in original A1 condition. "Morden" or 377S/32635 as she became was painted in the original Stroudley Improved Engine Green and had the words "Brighton Works" on her side panels instead of a name. 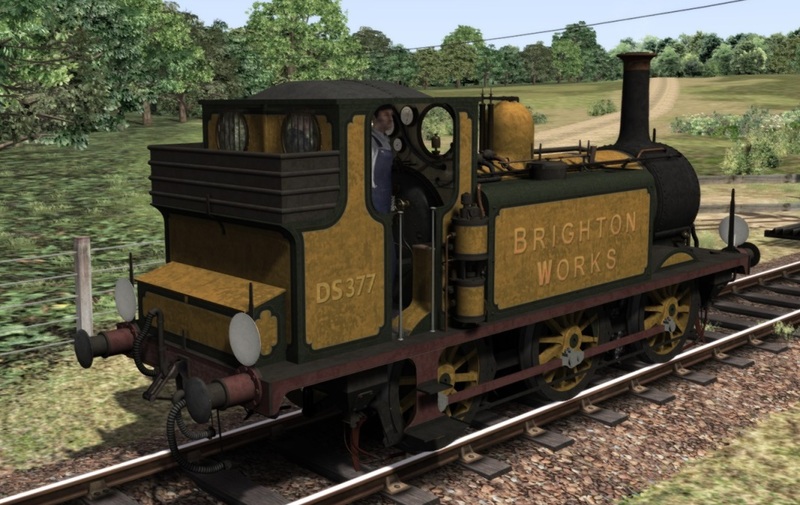 She was withdrawn in March 1963. 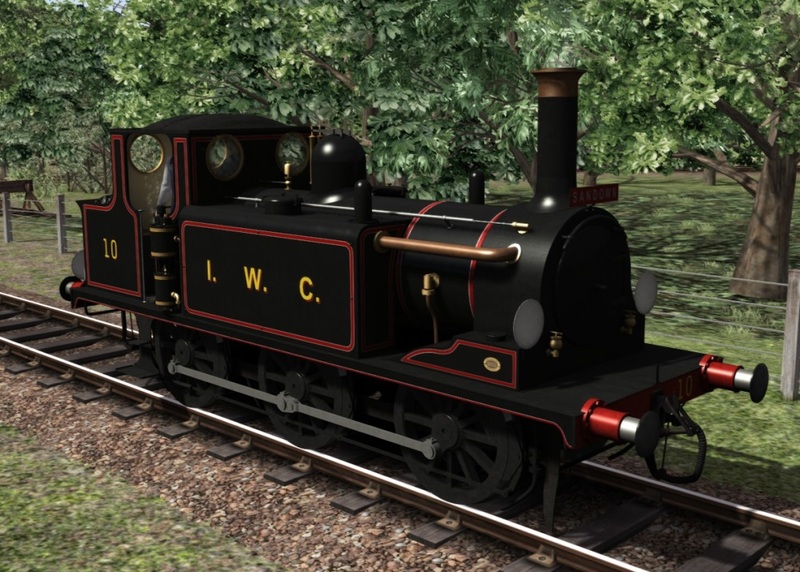 This is a specific livery option and is available only as an A1X variant. 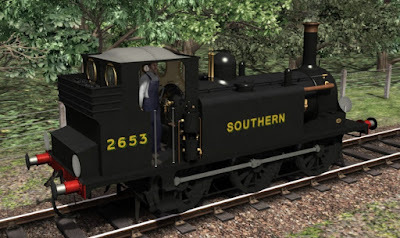 Before 1959, 32635 was numbered 377S and this cab side number can also be chosen instead of 32635.